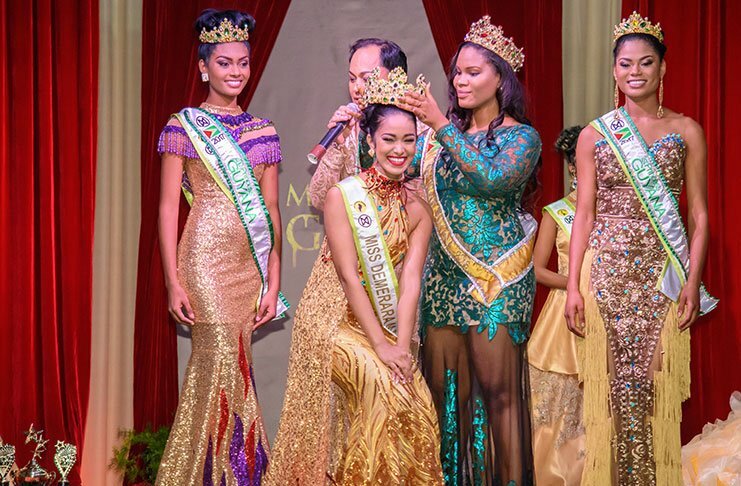 QUICK JUMP: Contestants Pageant Information How to compete in Miss World Guyana 2017? The Miss World pageant is the longest running major international pageant. Miss World was created in 1951 by Eric Morley in the United Kingdom. Since his passing in 2000, the Miss World pageant has been run by co-chair and Eric’s wife, Julia Morley. Miss World, and the Miss World Organization, work to raise money for children’s charities, and have raised more than 250 pounds (4 million U.S. dollars) since its creation in 1951. Most recently held in the same city as its headquarters in London, United Kingdom, the Miss World pageant is one the most publicized beauty pageants in the world. The newly crowned Miss World also fulfills her reign while residing in the headquarters in London, United Kingdom. The newly crowned Miss World also works closely with "Beauty with a Purpose". Established in 1972 by Julia Morley, Beauty with a Purpose works closely with many charitable organizations, primarily to give back to children around the world. Beauty with a Purpose has helped in funding Cleft Palate Teams in South America, Sri Lanka and Russia, done three fundraising tours to support abandoned and neglected children in Vietnam, and provided long term support for both Operation Hunger and the Nelson Mandela Foundation in Africa. Additionally Beauty with a Purpose teamed up with Jackie Chan and the Chinese Red Cross in bringing financial aid to those most seriously affected by the Asian tsunami. The Beauty with a Purpose Award is presented at the final pageant each year, after contestants present their community service and charitable projects. The contestant with the best project receives the award, which adds many points to their final score, as well as $10,000 to go to the charity the award winner has been working with. In 2011 the Beauty with a Purpose Award was presented in a special message from Nelson Mandela, which was read by his grandson, Chief Mandela. Each year, 80-90 national titleholders compete for the title of Miss World in six challenge events, as well and interviews. Miss World contestants participate in Beach Fashion, Beauty with a Purpose, Multi-Media, Sports, Talent, and Top Model, leading up to the final completion. At the Miss World final competition, contestants are narrowed down through a series of questions and interviews. There is also a category for People’s Choice at Miss World, with the contestant winning the people’s choice vote moving in the final line up. 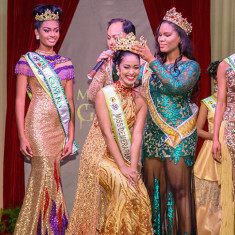 How to compete in Miss World Guyana?